Roger Federer's racquet, the BLX Six.One Pro Staff 90 is designed to offer the advanced player supreme control, feel and stability. In this version of the venerable 90, we also found improved maneuverability. Easier access to faster swing speeds upped both the spin and power potential for our playtesters on groundstrokes and serves. At contact the racquet still offers an incredibly solid and stable feel. Touch is enhanced via a new technology placing strips of basalt graphite in the handle to better connect the player to the ball. Power with this racquet comes from the player's ability to utilize the mass of the racquet. Those with long, fast swings will find they can hit a power and penetrating shot with this one. On shorter swings such as volleys, the racquet offers all the stability needed for touch and control. Again, the mass of the racquet can be used to punch the ball deep and away. All in all another impressive 90 offering from Wilson and with its improved maneuverability, this one is also better suited to a wider variety of players. 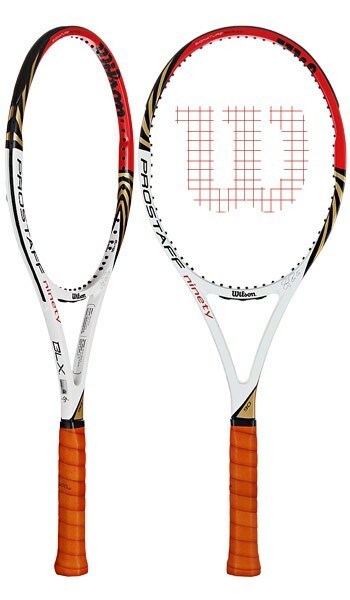 The Wilson Pro Staff 90 BLX Tennis Racquet is now available online in India. Head Size 90 sq. in. / 580.64 sq. cm.